ISDN support has been removed from DragonFly. It was not useful at this point, because it’s rarely used any more. It does make me feel a little sad; this was the technology everyone said was the future before cable modems and DSL were figured out. I’m posting this because it will save someone (possibly me) an hour of aggravation someday. If you are updating Samba from version 3.0 or 3.3 to a later version, it’ll take your existing config but possibly silently break on user authentication. Deb Goodkin of the FreeBSD Foundation gets 24 minutes of interview on BSDTalk. The deadline for submitting papers for BSDCan has been extended, since the convention’s site suffered some downtime this past weekend. Submit proposals by tomorrow, the 31st, now. This is the week of the funny, apparently. I’ve linked to this site before, but not this specific feature: History of UNIX manpages. Part of the formatting that makes up man pages dates back to 1964! ‘roff’ comes from RUNOFF, the original markup! This is the perfect mix of history, nerditry, and language for me. Hubert Feyrer says there should be BSD Certification training material. I agree. That’s the spiffiest TWM I’ve ever seen, and it’s on DragonFly. 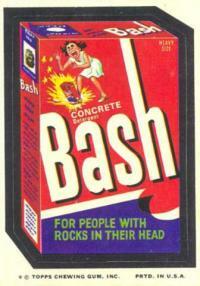 Found at the same place: Bash. Hey, Michael Lucas is planning for his next book! Developer error HTTP status codes. (via) What’s the geekiest joke I can still find funny? Your totally unrelated video link of the week: The Necronomicon. Pitch perfect. Ulrich Habel wants to update some of the Perl 5 modules in pkgsrc. He published a request for comments, describing what he plans to do for changing some dependencies. He does note that Perl 5 in pkgsrc is at 5.14.2, which is very recent. I was talking to a relative today who works at a large financial company, which is standardizing on Red Hat Enterprise. I find it strange that Red Hat, which has a lot of money behind it, still ships a years-old and arguably broken version of perl. By using pkgsrc, you’re getting more up-to-date software than people that actually shell out money for the privilege of compiling software. Peter Avalos updated libpcap and tcpdump. This is on master, not the 3.0 branch. If you need to use ISDN with DragonFly, speak up now. I think it may get tossed otherwise. I received an em ail from No Starch Press about reviewing this book, and my first reaction was to say no. I assumed this was essentially a book about using Bash, and therefore probably not useful to people reading the Digest. I read it despite my knee-jerk reaction, and I didn’t need to reject it so suddenly. Almost all of the book will apply to any Unix-like system. My first real experience with something that wasn’t Windows or a Mac was at a summer job during college, sitting in front of a SparcStation 5 editing files and processing data for real estate. Much of my muscle memory about vi and file manipulation dates from then. This book, even though it’s technically for a different operating system, would have been just what I needed. There’s no system administration in the book, just making your way around a filesystem and the tools you need to get results. It’s the kind of skills I think people lose out on when they boot to a graphical interface in Ubuntu, for example, and then never experience these tools. Negatives: a few areas won’t be of use to most BSD users, like the section on packaging, or the bash-centric instructions in the shell programming area. There’s the occasional off comment, like that OpenSSH originates from “the BSD project”. There’s surprisingly little of this however, and I had to think a bit to write this negative paragraph. Positives: The book puts the proper focus on some complex but rewarding aspects of command line use, like using vi (alright, vim) and understanding regular expressions. Much of what it covers is the same material I’ve learned to use over time, and explained to others. There’s clearly two areas to the book; the first half is about using the command line to accomplish work, and the second is about shell programming. Making it at least through the first half will result in being able to work at a prompt with little issue, with the shell programming a nice bonus. 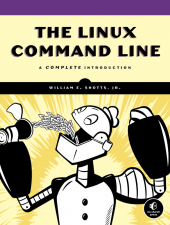 It’s not the normal mix of admin tasks and introductory text; it’s about working at the command line. I imagine giving it to new software testers in a lab, or to a Windows user that has to deal with the occasional unfamiliar environment. There isn’t an equivalent BSD-centric book like this, so it wouldn’t hurt a BSD user, either. It’s available now at the No Starch website. Note that it’s branched, not released. I’m building and uploading binary pkgsrc packages for it now, and hope to have a ‘release candidate’ very soon. This is the prep work before the release, really. There’s a catchall ticket for tracking remaining work. Want to support newer Intel GPUs? There’s a whopping 250 euro bounty up now on the DragonFly Code Bounties page. It’s for supporting the newer Intel video chipsets, and there’s already examples in FreeBSD to start with. I even have some comedy in here this week. Hey, a Windows Phone application that aggregates BSD news! Including this one, I think. No way to test it because Windows Phones are rarer than hen’s teeth. The Rise and Fall of Personal Computing. (via) I don’t think the numbers used are accurate, but the trend is correct: a lot more people are computing through devices that are “walled gardens”, where they can’t install what they want. The App Store Guide – Take Two. It boils down to: Curated information on what programs to run is very useful. Someone could do this with pkgsrc or ports, easily. pkgsrc.se is sorta there, but not really with any sort of authorial voice. Variable typing can be surprisingly funny. (via) The final punchline is great but may not make sense unless you’ve seen where it comes from. Your unrelated comics link for the week: Tom Neely‘s Doppelganger. Page 11 is my favoritest. Another unrelated thing: David Shao, are you out there? Can you get on IRC (EFNet #dragonflybsd) and help some people out with GEM/KMS questions? Nobody’s been able to find you. I’m going to have at least 1 book review up next week, 2 if I can make it. I’ve done this several times now, so I’ve added a ‘Book review’ category so that they all can be found together. ‘Live dedup’, where a DragonFly system makes a deduplicative reference to copied data instead of actually copying the data, is now off by default. There’s no definite issue linked to it yet that I know of, but it never hurts to be careful just before a release. Peter Avalos has updated OpenSSL to version 1.0.0g. It’s so new I can’t find anything in the OpenSSL changelog to describe why there was an update, but I suspect it was this. John Marino has added support for RELRO in DragonFly, which makes it the first BSD to have it. That’s great news! What is it? Apparently a guard against memory corruption or overflow in the linker. His commit message gives better details. Matthias Schmidt found a discussion about DragonFly’s password encryption. The result, if I am reading it correctly, is that brute-forcing the password from available hashes is quicker than it should be. Matthias also found a contributed fix. Samuel Greear updated to match the reference SHA implementation also in Linux, with this very pertinent warning. If you liked KDE3, you may like Trinity. Matthias Drochner would like you to help get it in pkgsrc.